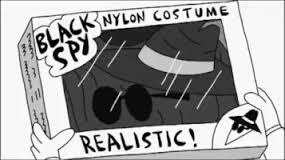 For all of you blog readers who have great espionage plans that have been denied implementation (screwing up your opportunity to have a chip in the big game), Israel's Mossad intelligence agency is offering grants up to 2 million shekels ($570, 000) per project as part of an investment fund to help develop new espionage techniques. (more here) You will not be denied "Old Whore" status any longer. Mossad is seeking technologies in various fields that include robotics, miniaturization and encryption and automated methods of gleaning information from documents, according to a government statement released Tuesday. A statement by the new fund, called Libertad, said it would be willing to give grants of up to 2 million shekels per project in exchange for non-exclusive rights to the technology, according to Japan Times: "The Mossad wants to encourage innovation and creation of groundbreaking technology...the technology developed will be implemented by us, in cooperation between the parties." 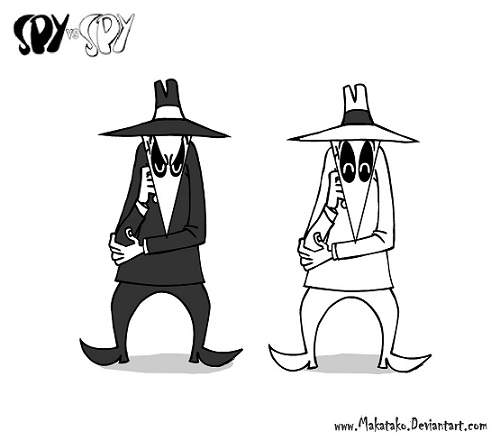 (link) China's new spying law went into effect on June 28, after it was hastily passed by the legislature. In a nutshell, the National Intelligence Law gives authorities sweeping powers to monitor and investigate foreign and domestic individuals and institutions. 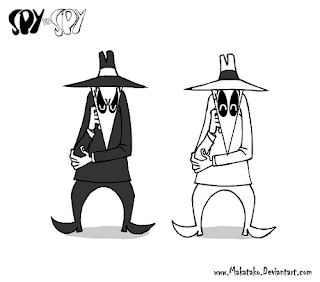 It allows Chinese intelligence agencies to search premises, seize property, and mobilize individuals or organizations to carry out espionage. It also gives intelligence agencies legal ground to carry out their work both in and outside China. Those violating the law will be subject to detention of up to 15 days, and can be charged with a crime. North Korea launched a ballistic missile mid-morning local time on 4 July. In mid-afternoon, it declared that the missile was an intercontinental ballistic missile (ICBM). The announcer identified the missile as the Hwasong-14 and said North Korea now possessed a missile capable of striking the US mainland. The announcer said the missile flew for 39 minutes. It reached an altitude of 2802 kms/1731 miles and splashed down in the Sea of Japan 933 kms/579 miles down range. Allied monitors essentially agreed with the North Korean data. Kim Jong Un did it all. The Korean Central News Agency published a paean that attributed the success of the missile flight to Kim’s personal oversight. Major excerpts follow. The North Korean propagandists included technical details for the benefit of US and Allied missile experts. The description suggests that most of the major components of an ICBM weapons system have now been tested. This is the first time that the North Korean media were allowed to mention the development of the second stage of the Hwasong-14. The experts agreed that in a normal trajectory the missile can travel the distance to Alaska. At the recent pace of North Korean improvements, the next iteration of a Hwasong missile will be able to travel farther. The North Koreans appear to have mastered the ICBM launch and flight technology. What is striking is the leadership’s confidence in launching on the 4th of July. North Koreans know the date is special to its arch-enemy. They were undeterred by the potential for failure or the risk of a success that landed in Japan. They launched a missile almost straight up. It reached an altitude of more than 1,700 miles and splashed down less than 600 miles away without hitting Japan. That takes hubris as well as confidence in flight control. North Korea never had the technology for such precision under the earlier Kims. The pace of development has been exceptionally rapid. That suggests North Korea has discovered a missile systems savant or two or is the beneficiary of significant outside technical assistance. During the Clinton administration when US Department of Energy scientists were living in Yongbyon to monitor the frozen graphite-moderated reactor, the US did freeze the Yongbyon reactor and the long-range missile program. US Secretary of State Albright met Kim Chong-il in Pyongyang in October 2000. The US missed an opportunity to make those freezes permanent. That missed opportunity has had the long-range consequences witnessed on 4 July 2017. Russia and China issued a joint statement. The following item was posted to the website of the Russian Ministry of Foreign Affairs. They called it ‘unacceptable’ and urged Pyongyang to suspend nuclear and missile tests. The statement said Russia and China were ‘seriously concerned over the Democratic People's Republic of Korea (DPRK) statement of 4 July this year about the launch of a ballistic missile, and believe that this statement is unacceptable and that it runs counter to relevant UN Security Council resolutions. The Chinese formula does not get better with repetition or from gaining Russian President Putin’s backing. North Korea gets rewarded for its violations of UN Security Council resolutions with a reduction in Allied combat readiness, while its missiles and conventional forces maintain their combat readiness. That is an invitation for a North Korean attack on South Korea. In the Chinese formula, South Korea is penalized and is subjected to increased risk of war for abiding by UN Security Council Resolutions from the 1950s. Based on Kim Jong Un’s statement after the missile success, above, North Korea appears unlikely to suspend the missile and nuclear programs for any reason other than a South Korean and US surrender. I never want what I'm writing to turn into a polemic, but sometimes it does...almost on its own. The only way to get to the road less traveled is to get out and travel. It sounds trite, but it's true. I would like to tell you that I love setting up camp and sleeping in a tent, but I most often sleep in the rig. And while I am a fan of the Toyota FJ as a good 4x4 solution (when modified properly), it's not comfortable to sleep in. However as a minimalist camper, I don't work as hard on personal comfort as some others do. I think that came from privations in the military which taught me that my ease was not a predicate of a successful mission. Don't get me wrong, I like luxury as much as the next person. I just have this thing about not needing it on expedition. In the photo (left) I'm with a guy who is trying to explain how we're going to get up a waterfall that looks impossible. He was right, by the way. We made it. Which is to say that it's always important to listen to somebody who knows more about a particular obstacle than you do. Short wheel base, high clearance 4x4's have very little room for banal comforts, so you need to pack what you need. The basic load out is carried in a species of endoskeleton that I built and still use. I often sleep under a heavy quilt, but if I'm bringing a sleeping bag, it will go on top of the Pelican cases. If I'm accompanied, luxury items such as a tent and other accoutrements are loaded in the back seat (forward of the cage), or I strap them on the roof. Firearms are most usually carried forward of the cage so that they're accessible. There's not much use in having firearms that are not at hand. I've made the run down the Kokopelli Trail four times. It's one of my very favorite expedition style runs because each time I've found different obstacles on the same 142 mile route. Sometimes you can ford rivers and sometimes they are running too high and you have to take a different route to overcome the problem. I was the first rig along the trail one spring and had to do a lot of road building because of wash-outs that made the trail impassible. It wasn't out of a sense of altruism that I spent a day or two fixing roads - it's because I needed to in order to pass. 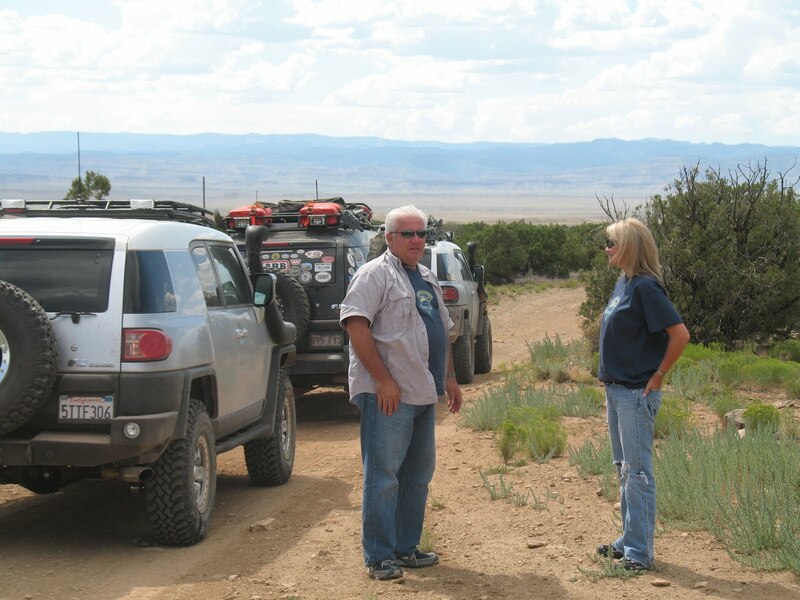 The Kokopelli Trail is one that is best experienced with friends because it's one of those unique trips that you can still make and it's always an experience of discovery. I've done it in two days and I've done it in five. You are ROMPING to get through it in two days. the rock in this case than around it. My first run at the Kokopelli Trail was with the Toyota Trail Teams (Factory team for the FJ Cruiser). They were kind enough to invite me along. They ran out of fuel and ended up borrowing from me. In the West, you must always plan to bring more fuel than you think you'll ever need. You burn more in 4 Low than you usually expect to. I'm very much looking forward to making this trip again once I've settled in Arizona. (the CA house has sold and I'm in the process of moving at the moment) At present, I'm thinking of doing it Spring 2018, as soon as the snow clears and the road is passable. 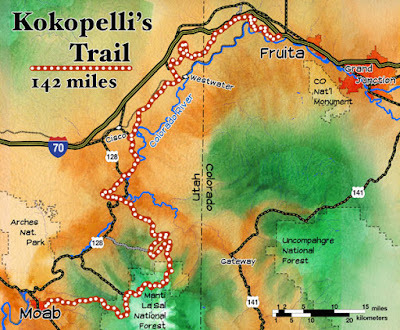 Kokopelli Trail is but one of hundreds of interesting expeditions. My son-in-law was with me on this trip to Death Valley (above) and encouraged me to pose for a shot in front of the closed brothel. There should be a rule about not being gullible enough to stand still for this sort of photo, but if there is that sort of rule, I've broken it too often. With a Buggy going up a river bed with a friend, who brought his rock rig.